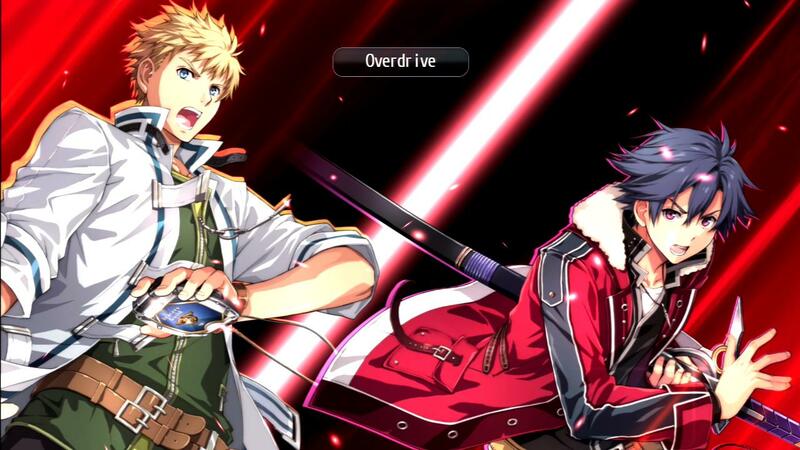 The sequel to last December’s massive JRPG is on its way, and looks to be just as good. My familiarity with the first Trails of Cold Steel comes from watching our own Joe Sigadel’s Twitch stream of the game. After witnessing the opening bits of that game (including the party being dumped into an underground dungeon as their first mission) I decided to go out that night to buy the game. Sadly, due to a combination of school and work, it’s still sitting on my shelf. As such I was hesitant at first to even try playing the demo for Trails of Cold Steel II at XSEED’s booth. However, I’m certainly glad I did. The main reason why comes down to one particular character, but let’s start with some basics. Flashy character cut ins and all return, though that’s not the best part. 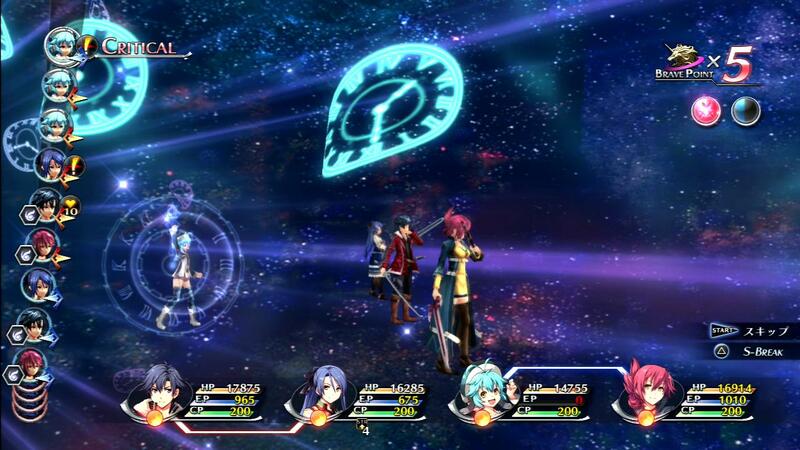 Trails of Cold Steel II takes place after the first game and is a direct continuation. If you have a save file from the first game, you’ll get some bonuses I’ve been told, but your levels and stats won’t directly transfer over. This is a pretty typical JRPG but the game is massive, clocking in at over 60 hours from what I’ve been told. Combat is turn based, but has its own unique twists. For one, the turn order is displayed on the left hand side of screen. On certain turns the character or enemy that goes will get a bonus. So careful turn management can really help. Also there are two types of skills in the game: Crafts and Arts. Crafts uses CP and seems to lean towards more physical attacks that come out instantly. Arts use SP and take a turn to charge. However, the effects can be pretty strong. Different attacks and skills have different ranges. Some hit in a line, others in an area. In addition, you can always use a turn to move a character out of the way of an attack if you know one is coming. So there’s a lot of depth to the actual combat system. All of this was present in the original, so if you played that you’re already familiar with how things work. Now that I’ve explained all that, let me explain my experience. Time magic is always one of those things that’s hard to explain. Then again, in this game there’s a character who can shoot bullets that will speed up the party. I picked up where someone else had left off in middle of some snowy mountains. My main goal was to just wander around and get a feel for the combat system so I could avoid spoilers. Upon entering my first fight, I suddenly realized I had a maid in my party. And this where this game got ridiculously awesome. Sharon is not just a maid. She is this game’s version of your “Ninja Assassin Combat Maid” that we’ve all no doubt seen in various anime. That is a combination that I always adore and Sharon was no exception. 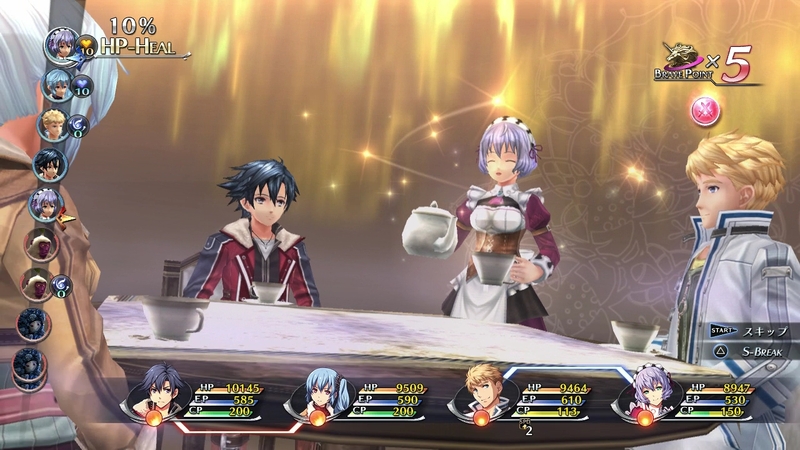 In fact, one of her special moves is to prepare tea for the party in the middle of combat, complete with a set table. I am not kidding. Things like this are why I love Japanese games. Sharon is very much a proficient fighter though. I spent quite a lot of time toying with her various moves and they are all very useful. One in particular uses threads to draw a group of enemies in close and slash at them with a dagger. This does move the enemies close to her, but also sets them up for the next character to use an area special to really lay on the hurt. It’s a great example of how you can use different character’s abilities to help set up attacks for other party members. Strategy is a big part of the game and utilizing all your abilities will really help. After playing around with a few more fights and seeing all of Sharon’s abilities, I ended my playthrough. That and the show floor was going to close in a few minutes so I didn’t have a lot of time. So, my final thoughts? See, told you she served tea in the middle of a fight. If you liked the first game, this is a no brainer. Trails of Cold Steel II is more of the same, which is always risky. But when more of the same is this good, I can’t really complain. Also, with characters as diverse as Sharon, I can only imagine what the other cast is going to be like. I definitely need to play the first one to prepare for this, but even still I think I’m going to pick this up Day 1 as well. It’s not a question of if I’ll be playing this, just when. In the meantime check our our review of the first game if you haven’t played it yet to see what you’ve been missing.